What should you do with this tricky skull base case? This 59-year-old woman presents with “fluid behind the ear and ear pain'” for months. 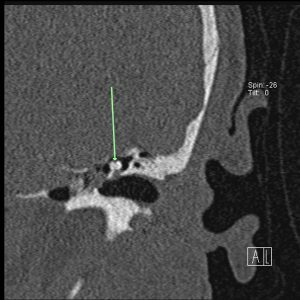 Lots of physicians try to pass off a skull base middle ear case to another doctor in their group, but we seek to change that. In image one, the three arrows on the left identify what three regions of the middle ear? 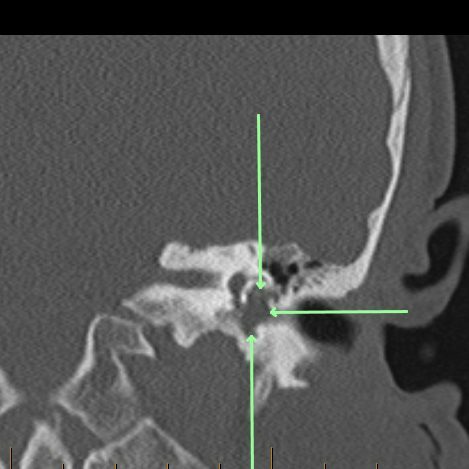 In image two, what is the ossicular “joint”? What does the vertical arrow show in image three? In image one, the three arrows on the left identify epitympanum (upper arrow), mesotympanum (middle arrow) and hypotympanum (lower arrow). The arrow in image two points to the incus-malleus articulation. 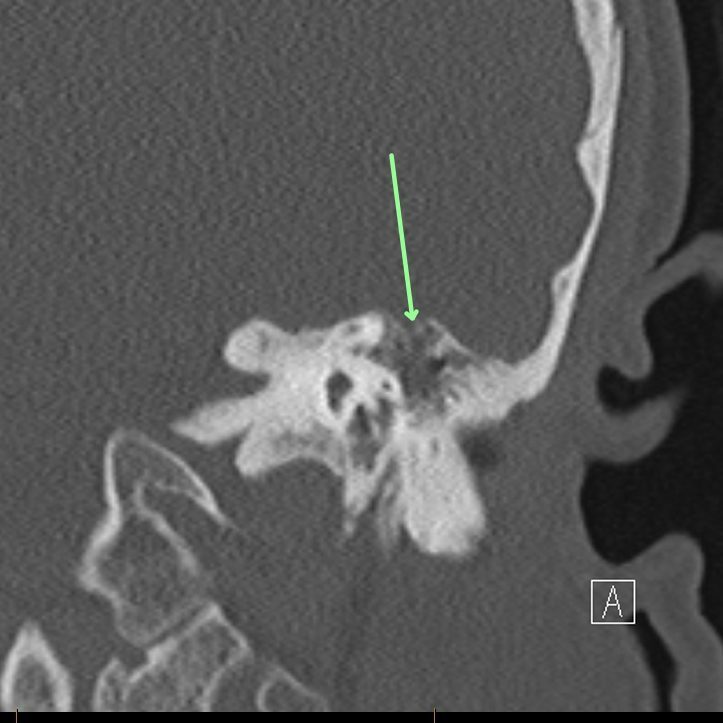 The arrow in image three shows a dehisced and destroyed tegmen tympani. For more neuro case review, check out MRI Online.